Map making can be time consuming and sometimes frustrating for GMs, especially GMs with limited time to begin with. In our new 'GM's Maps' range we will be providing a range of pre-made maps for you to use in your games. The maps will be provided in PNG, JPEG, TIFF and PDF file format. They are ready for you to populate with fiendish traps and monsters as you see fit. The 2 storey Underground Command Bunker was built to protect command and control assets in the event of war or disaster. Equipped with communication and monitoring equipment and staffed by trained military personnel the bunker could withstand anything short of a direct hit by the most fearsome of weapons. Based on and inspired by actual military bunkers the map is suitable for any period from the second world war or cold war period to the future and any genre from espionage to post apocalyptic or horror. 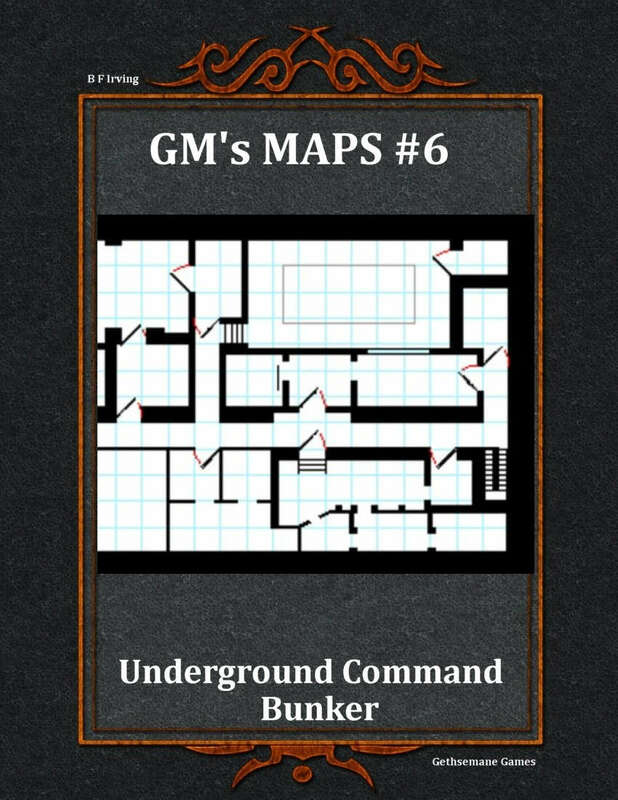 What secrets – or horrors – the bunker hides deep beneath the ground is up to you as GM. A key describing the original purpose of most of he rooms is included.